Kristin Cavallari may be the founder and designer of the jewelry brand, Uncommon James, but make no mistake, there’s nothing uncommon about her! The always-on-the-go mom-of-three has mornings just like Us, which means spending as little time on her daily makeup routine as possible. So in her efforts to keep her beauty regimen (and time spent!) minimal, this tinted moisturizer is nothing short of her must-have. In fact, let’s just go ahead and call it her secret weapon to skin success! With a successful business, three toddler-aged children, a current reality show with her hot former NFLer husband, Jay Cutler, and another one in the works, it’s with good reason that the last thing this blonde bombshell has is time. So when looking for an error-proof formula, it’s key to find a product that can be relied upon for ease and results, making this beauty brand’s tinted moisturizer the ultimate secret weapon to this reality star’s flawless skin. 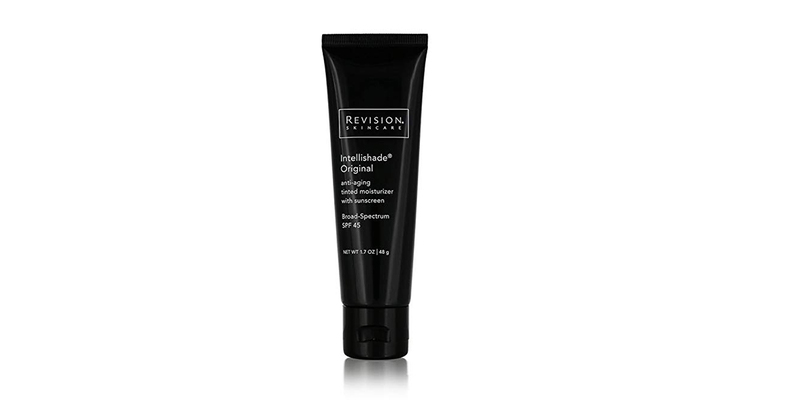 See it: Grab the Revision Skincare Intellishade Original with SPF 45 for $75, available at Amazon! Please note, prices are accurate at the date of publication, March 25th, 2019, but are subject to change. Gone are the days where our makeup requires touch-ups, double-takes or revisions. That’s right, with a beauty brand named Revision, it’s safe to say our skin will be perfect, no touch-up required. The Revision Skincare Intellishade Original with SPF 45 is the ultimate two-in-one option, so it’s a no-brainer why it was deemed one of Cavallari’s favorites! In a Good Morning America interview, Cavallari explained that this moisturizer is her morning must-have when looking to keep her makeup minimal. And surely we can’t blame her! As a busy mom and mogul, she needs her skin to be shielded and protected for whatever the day throws at her, which is why this tinted moisturizer is the ideal option. Not only will the Intellishade tinted moisturizer give her skin a touch of sheer, healthy color, but it will do so by shielding and protecting it with SPF 45 sunscreen. As we said, it’s the ultimate two-for-one option for any girl-on-the-go! It’s important to note that not only was this tinted moisturizer one of Cavallari’s favorite products. It also happens to be the same tinted moisturizer that so many other fans noted as their favorite product, too! Across the board, so many reviewers were smitten with this sheer tinted moisturizer. And can we even blame them? This award-winning anti-aging tinted moisturizer was designed to outsmart the signs of aging. Formulated with a blend of three peptides and broad-spectrum UVA and UVB protection, this tinted moisturizer is the smart way to care for all skin types. Our personal favorite part about this tinted moisturizer? This lightweight product has long-lasting effects. The age-defying moisturizer claims to reduce the appearance of fine lines and wrinkles, provides broad-spectrum UV protection and claims to even fight photo-damage which causes premature aging. This moisturizer adds a hint of coverage and will blend naturally with each and every color skin tone in a formula that lasts all day long. It’s with good reason that this tinted moisturizer has near-perfect reviews with nearly 700 shoppers raving over it. So many reviewers were left in awe when claiming the positive effect this sheer tint had on their skin. One reviewer noted that this tinted moisturizer was ideal. Not only did it even out their skin tone and protect, but unlike other tinted sunscreens, it didn’t clog their pores and didn’t feel too heavy. Truthfully, we love this and can relate! There is nothing worse than a product that we can feel all day long. Not the case here! 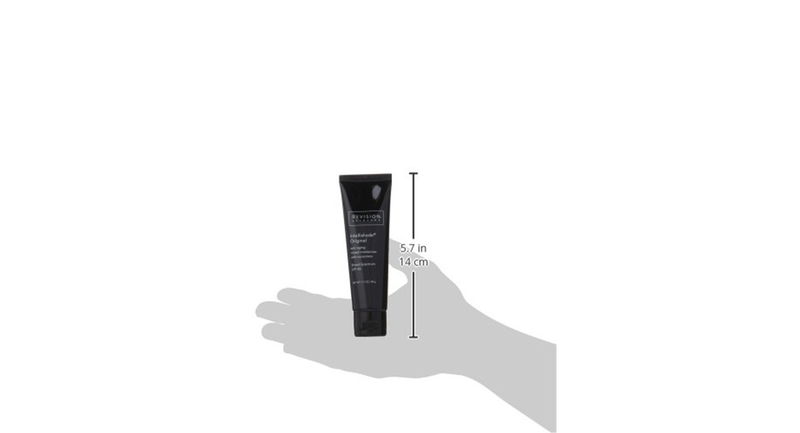 This product is lightweight and sheer while protecting day in and day out. The same reviewer also pointed out how cost-effective and long-lasting this product was, lasting about six months. So many reviewers similarly echoed this reviewer’s love for this product. Other reviewers who live in warmer climates noted that this tinted sunscreen was the ultimate option when seeking out a product that didn’t melt off their faces during those hot and humid days. The product works overtime to not only make our faces look 100% but does so while claiming to reduce all of those fine lines and wrinkles. Additional reviewers were left excited about how a little goes a long way. Unlike other products which require us caking them on to see their appearance, this tinted moisturizer only requires a dot-sized amount to cover the entire face. Talk about amazing! Forget the days where we wish we could look like our favorite reality stars. Thanks to Kristin Cavallari sharing her favorite tinted moisturizer, it’s never been easier to look like them! Simply lather on this Revision Skincare Intellishade Original with SPF 45 and off we go! See it: Grab the Revision Skincare Intellishade Original with SPF 45 for $75, available at Amazon! Please note, prices are accurate at the date of publication, March 25th, 2019, but are subject to change. Not your style? Check out additional Revision skincare products and tinted moisturizers at Amazon!